I was outside watching the sun set through the trees in the woods behind my house. The sky is a beautiful shade of light blue with white and thin, dark grey clouds highlighted by the setting sun. Now the clouds have turned a brilliant orange color. Must. grab. my. camera. 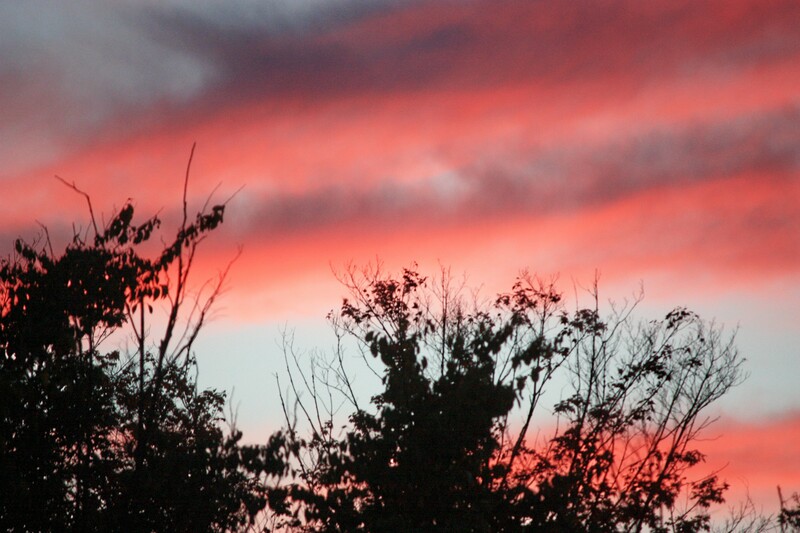 What a way to spend the end of a long work week – out on the deck enjoying a beautiful autumn sunset. Thank you God for the energy to get through the week and for tonights colorful sunset.